We are proud to announce that The Cardiff Window Cleaning Company have received accreditation from Constructionline. The Cardiff Window Cleaning Company Ltd. has been thoroughly vetted by Constructionline. They are one the UK’s leading procurement and supply chain management service. 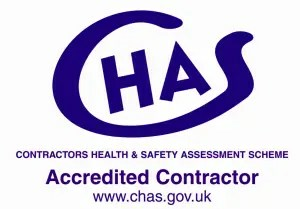 We have always worked hard to build a trustworthy reputation and have been already accredited the Safecontractor accreditation. Our clients rightly expect high standards in Health & Safety. Therefore, our team of window cleaning technicians adhere to high standards. Constructionline assesses and monitors its suppliers to government standards. Company information is measured through a set of questions aligned to PAS 91. This standardised pre-qualification questionnaire developed by BSI ached a number of things. It reduces duplication within the construction industry and improves the supply chain management processes. It does this by reducing risk, creating cost efficiencies and helping buyers engage with new suppliers. As part of the UK’s largest procurement and supply chain management service, The Cardiff Window Cleaning Company is now identified as a trusted supplier. Customers are assured that all essential Health and Safety procedures are in place and adhered to. This also gives new customers the confidence to work with us. Our Risk Assessments and Method Statements have been independently reviewed and examined, to ensure they adhere to the highest standards. Being a member of Constructionline also gives all customers easy access to our company information, speeding up the tender process and thus saving time. This efficient process is already proving valuable. Do you have a window cleaning project in Cardiff, Swansea, Newport or South Wales? If you would like our assistance, please feel free to contact us.